Summer all but dried up and blew away in a matter of a few weeks here in the Northwest and the sudden change has many people worried that we might be in for another super frigid Winter! That is, people who haven’t harnessed the power of solar thermal! Many people aren’t familiar with Solar Thermal, and think it’s the same thing as old standard Solar PV which only provides electric power. Solar thermal is a whole different technology! Our particular system is especially efficient as it makes use of the water already coming into your home to circulate heat throughout the building in order to provide not only hot water whenever you need it but also a holistic method of warming your home. Don’t let the idea of high cost stop you in your tracks either! You don’t have to be loaded with cash because solar thermal saves dollars and makes SENSE! 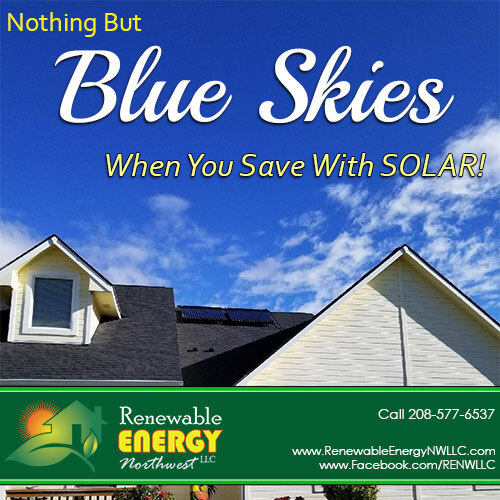 While you will see some cost up front, just like any investment, you’ll be glad to know that solar thermal has one of the fastest paybacks of any renewable energy and you will have the initial cost paid off in just a few years. In the meantime you will be able to enjoy about 50% less cost on your monthly energy bill so you will see the savings right away! You could be enjoying a soak in your new solar hot tub this Winter while the neighbors are out shoveling snow! Even better, with our radiant solar snow melt you won’t have to be shoveling either. There’s still plenty of time to get your solar thermal project on the books for this year so get in touch today for your FREE solar site estimate to see how we can start helping you save money on heating your home today!